Want to cancel subscriptions but do not know how? This guide will show you how to cancel subscription on iTunes, and also tell you how to cancel subscription on iPhone/iPad. 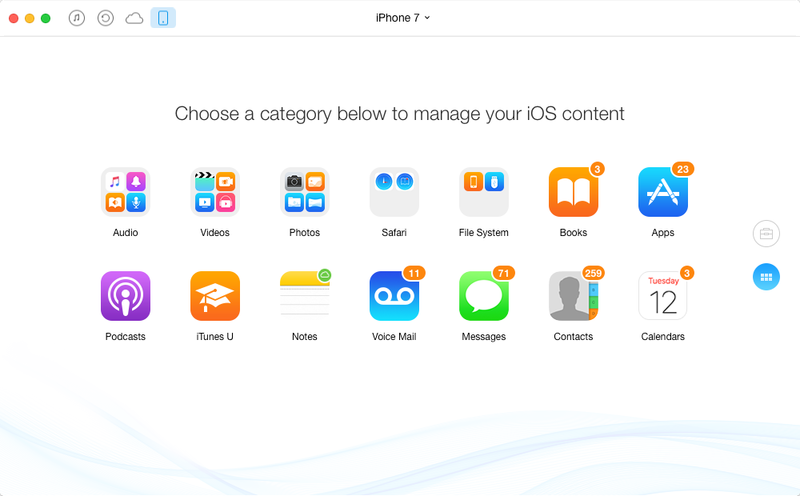 This easy-to-use iTunes alternative can help you manage iPhone/iPad/iPod content as you like. 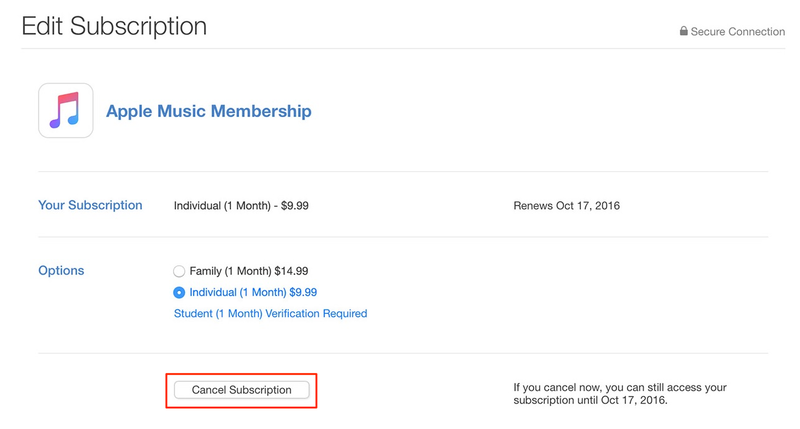 Remember to give it a try after you have read this how to cancel a subscription on iTunes guide. 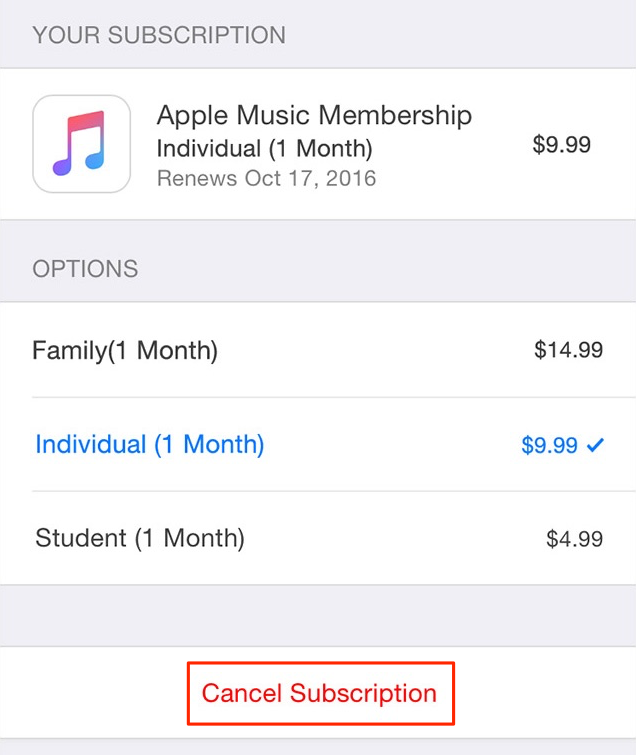 Apple allows you to purchase subscriptions via iDevice or iTunes, and you can easily cancel subscriptions anytime you want. You can make it via iTunes on Mac/PC computer or on your iPhone/iPad directly. Here in this guide we will tell you the detailed steps: how to cancel subscription on iTunes and how to cancel subscription on iPhone and iPad. Step 1. Open iTunes on computer > Sign in with your Apple ID. Step 2. Choose Account from the menu bar > View My Account… > Enter your password. Step 3. Scroll down a little and you will see Settings > Click on Manage next to Subscriptions. Step 4. Find the subscriptions you wan to cancel > Click on Edit. Step 5. Select Cancel Subscription. The subscription will stop at the end of the current billing cycle. Step 1. Open Settings app > Choose iTunes & App Store. Step 2. Tap on your Apple ID > Choose View Apple ID > Enter your password. Step 3. Tap Manage under SUBSCRIPTIONS > Select the subscription you want to cancel. Step 4. Tap Cancel Subscription. Your subscription will stop at the end of the current billing cycle. As is known to all, the iTunes sync process is kind of complicated and time-consuming. What’s worse, sometimes it will erase the existing data on devices. And it will not let you transfer iPhone/iPad content back to iTunes and computer. Hope this guide can help you cancel subscriptions on iTunes successfully. If you like this guide, please share it to help more people. Now go to have a try on AnyTrans, it will not let you down.